Recently dubbed the most beautiful city in the world by Condé Nast Traveler, the city of Venice and its lagoon is a UNESCO world heritage site which attracts 26 million tourists per year, so if you can avoid visiting during the summer holidays, I would. 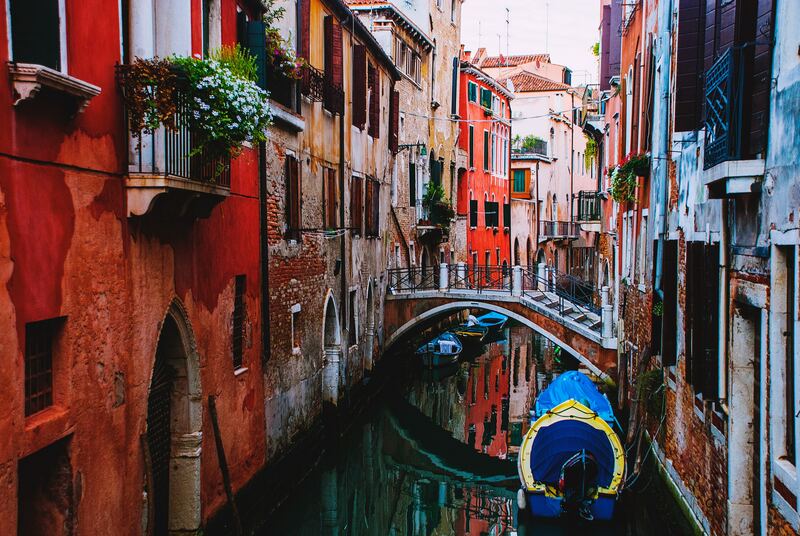 The city is renowned for its architecture, artwork and all-round beauty, so spend your time getting lost in the beautiful streets, admiring the views from the Rialto bridge or St. Mark’s Basilica in San Marco square. 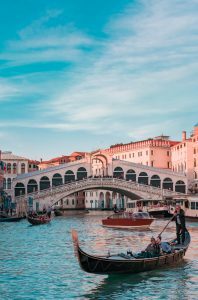 If a gondola ride is on your bucket list, be advised that though they are everywhere, hiring one from the main tourist areas can be really expensive, so head off the beaten track slightly. Go up the Campanile di San Marco for amazing views and you can get a great view of the Grand Canal from Ponte dell’Academia too. In Venice you are surrounded by delicious food, but be warned that the police will move you on if you sit in public places to eat for too long. I’ve also been advised that you can try the best tiramisu ever at I Tre Mercanti… (you’re welcome). You can read the travel advice and local laws and customs for Italy here. I visited Nice this time last year and it was the perfect time to avoid the masses of tourists and mooch the hilly streets without the blistering heat of the summer sun! To get the best views, walk up to the Nice Chateau, pausing halfway up in the beautiful Parc de la Colline du Chateau. 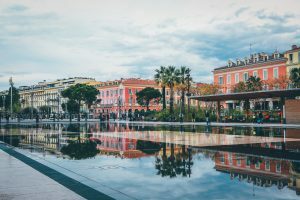 Visit Massena Square to view the stunning architecture and stroll down the famous Promenade des Anglais to see the beach. I would highly recommend wandering the streets of Vieux Nice and popping into one of the many cafés, before visiting the nearby Cours Saleya market for a real South of France experience, and for delicious food! If you’ve got time, Nice is just a short train journey from the glamorous Antibes and Cannes. 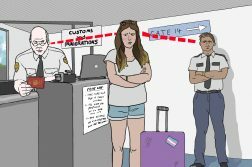 Before travelling, check out the travel advice for France and French local laws and customs here. Last but not least is my favourite city in Europe, Barcelona. 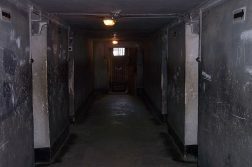 It’s vast, and there is so much to see and do that I would recommend embracing the tourist life and getting a bus tour, which will be far less busy during the Easter holidays. You can buy a two day pass which means that not only will you be able to see everything and really get a feel for the whole city, but you will be able to use the buses as transport for the rest of your visit and avoid the stuffiness of the underground, all whilst soaking up amazing views! 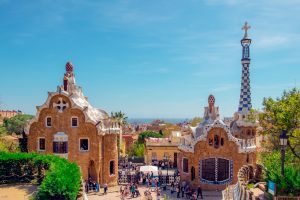 You will see all the main sights on the bus, but definitely get off and go into Parc Güell which is simply beautiful, and the perfect place to view the city from above. Of course you have to stroll down La Rambla, escaping the bustle by detouring into Plaça Reial. Visit Parc de la Ciutadella on your way to the beach and explore my favourite part of Barcelona, The Gothic Quarter. In terms of food, I would highly recommend La Boqueria, the market on La Rambla for amazing treats, fresh fruit and tapas, and I would also recommend Alsur Café for an amazing brunch – they do red velvet waffles! 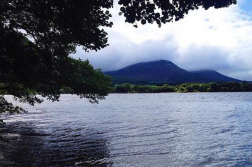 Check out Spanish local laws and customs and the FCO’s travel advice here. Despite the uncertainty surrounding Brexit, the FCO are still encouraging people to travel in Europe, but they advise that you take out travel insurance as soon as you book and check your passport is valid which you can do here. If you plan on driving abroad, there are new regulations you need to know about which are explained here. Which of these Mediterranean city breaks most appeals to you? Take part in our poll below.